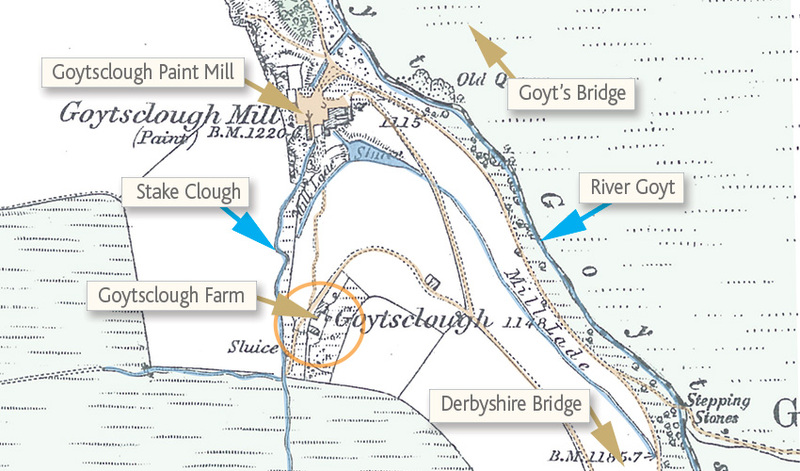 Above: This 1890 map (click to enlarge) shows Goytsclough Farm, lying close to the Paint Mill. Goytsclough Quarry is just to the north. Above: The ruins of Goytsclough Farm aren’t easy to find. Looking along the road to Derbyshire Bridge, with the Packhorse Bridge in the valley to your left, go up the slope to your right. They lie just over the highest point, on the footpath towards Stakeside and Shining Tor. What little remains of Goytsclough Farm is now shrouded in trees, close to where the Paint Mill once stood. Walk 15 passes close by. This part of the Goyt Valley was once a hive of industry. As well as the Paint Mill, Goytsclough Quarry was a few hundred yards away, beside the road to Goyt’s Bridge. So at one time, teams of packhorses would have been travelling in both directions, carrying the quarried and milled stone. And as the roads improved, horses and carts, and then lorries, would have done the work. My thanks to Mike for providing the census records shown below. They are slightly confusing. There are two sets of records for the 1911 census – one for Goyts Clough and another for Goyts Clough Cottage. Also, the Swindell family seems to have moved from Goyts Clough in the 1901 census to Goyts Clough Cottage in the 1911 census. Perhaps there was a cottage attached to Goytsclough Farm, or perhaps these records were for the cottages at Goytsclough Paint Mill. I’ll update this page if things get a little clearer. 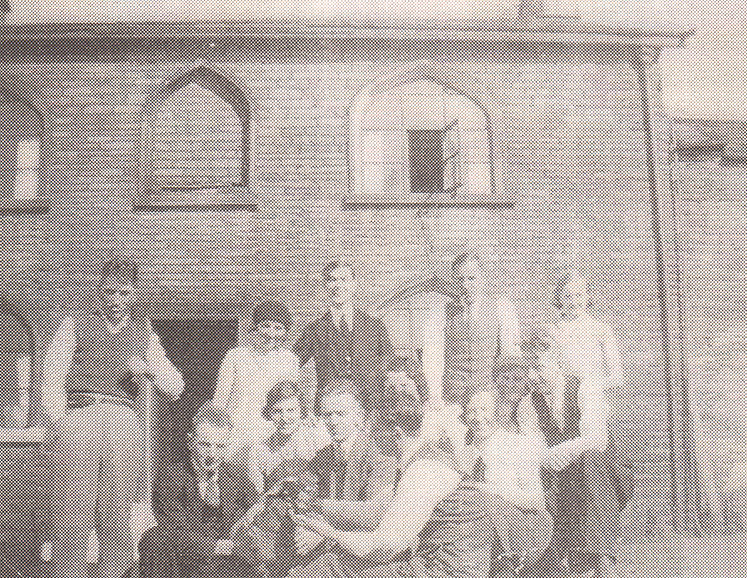 Page update: My thanks to Shirley for sending me this photo of a group of people pictured in front of Goytsclough Farm. I’m not sure who they are, but I’d guess it would have been taken shortly before the farm was demolished in the mid 1930s.